The 5 x 8 ft. 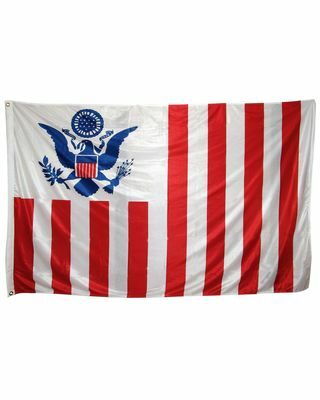 US Customs & Border Protection flag is finished with two rows of stitching on top and bottom, four rows on the fly end. Fully Printed on heavyweight SolarGuard nylon flag fabric, finished with canvas heading and 2 brass grommets. Flags are made to US Government Design Specifications.